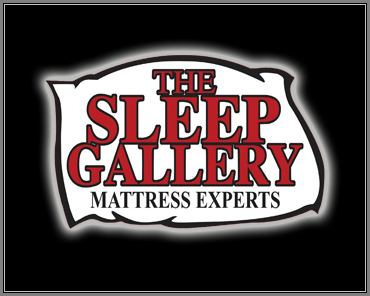 The Sleep Gallery provides Tallahassee, Florida with the finest beds and superior customer service. When quality and value matters, you will want to come explore The Sleep Gallery's professional mattress showroom and review our products & service. Our only objective is to care for your sleep needs by providing the absolutely best bed for your needs. We love serving Tallahassee, Florida and our mattress store has been here since 1999. We are residents and active members of our great community. We are here to serve you, our friends & neighbors. Along with those great traits that serve as our foundation, The Sleep Gallery Superstores are individually owned and operated and members of a national buying group. This enables The Sleep Gallery to deliver the highest quality products at the absolute lowest prices, with sincere personalized-service for each and every guest. The Tallahassee location opened in 1999 and quickly established itself as Tallahassee’s premier mattress retailer. The success can be attributed to the proven track record of previous Sleep Galleries combined with the pride of local ownership. When we say we offer the area’s largest mattress selection, with the lowest prices, and treat all guests like family... we truly mean it and encourage you to come and experience this for yourself. It’s as simple as that. Unlike the impersonal corporate stores, The Sleep Gallery has a on-site warehouse with large in-stock inventory. This means you can arrange for express delivery, which includes professional set-up and old product removal. Or we can always load it up (and secure it properly) for you, so you can take it home right now and enjoy your sweet dreams tonight. The Sleep Gallery are factory-trained mattress experts and we enjoy sharing the many differences with today's mattress brands, models, features and materials. Bring your questions and get the answers with no pressure to buy from us. So, come visit The Mattress Experts at The Sleep Gallery to learn more about today's sleep technologies or to explore a better way to sleep... and for less!.